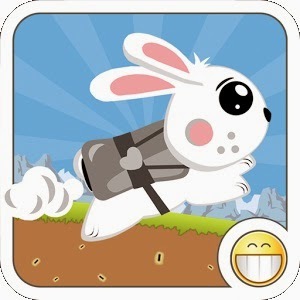 Navi Bunny - Android Featured App looks at first just like another Flappy Bird clone but actually, nothing is farther than the truth. Indeed, this IS a game where a small flappy creature has to fly to reach its destination and avoid several kinds of obstacles and travel through different worlds, avoiding different obstacles being placed in its way. First of all we may want to spend a moment thinking about what makes Flappy Bird kinds of games so fun. First of all, they are simple and easy to play. A lot of android smartphone users still have relatively small screens, smaller than 4.5 inch. A screen this size makes playing big, sophisticated games tricky because everything has too be so small but a Flappy Bird kind of game is easy to play because of its simplicity and is relatively large size of icons and images. That is why we want to show case Navi Bunny, a Flappy Bird kind of game with several interesting twists. So, what is Navi Bunny? 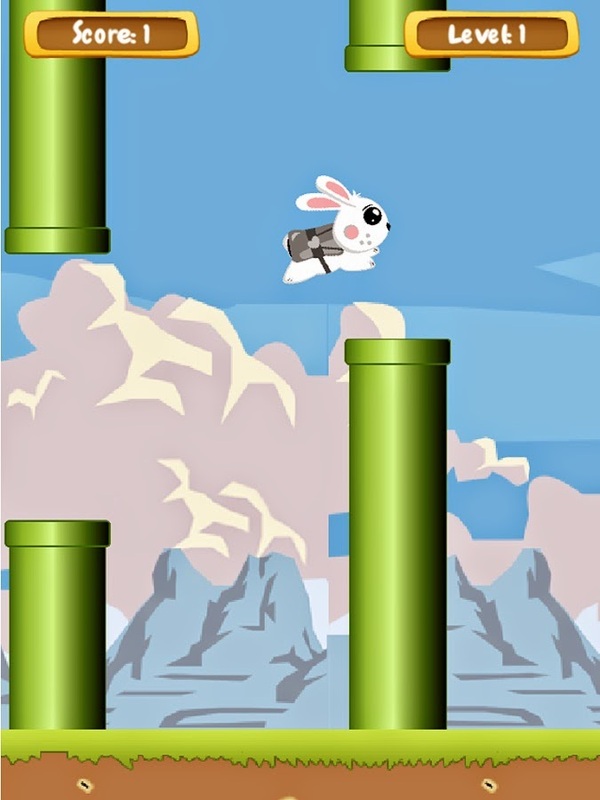 This game is a Flappy Bird twist where the character is not a bird but a bunny with a jet pack. Control and movement is fairly simple and straight forward, as it the game itself. Our bunny must fly through pillars and escape being crushed by obstacles obscuring his way while moving through several different worlds. Navi Bunny has several things that make the app well worth playing. First and foremost, Navi herself and the game in general are VERY cute. That's not a feature important for everyone, but for those that crave cuteness, Navi Bunny and the entire app are extremely cute. In addition, the game has a very nice progression of difficulty. It is not impossibly difficult right at the start but it starts fairly easily and then the difficulty mounts in a way that makes playing the game fun and challenging instead of being of just frustrating. Another very helpful feature of Navi Bunny is the speed of its setup and launch. It is a very fast app and it launches and plays very fast. Not only this is very pleasurable (you don't have to wait for a long launch and setup) but it is very useful since playing casual games is perfect for utilizing a few spare moments if not half of this time is spent by waiting for the game to start running. Last but not least is the stability of Navi Bunny. 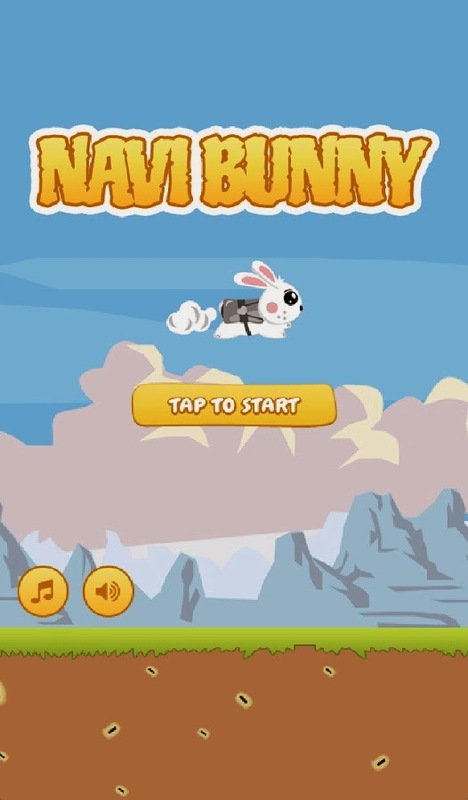 It is not the rule, but sometimes apps by new and small development studios are buggy and unstable but Navi Bunny appears to be rock solid, even when the characters reaches other worlds and advanced levels. In conclusion, Navi Bunny is a cute game, runs fast and is a very stable app, perfect for the casual game in a few spare moments we happen to have.